Long before the presence of retail giant Tampines 1 and the massive recreational centre Our Tampines Hub, Century Square was all there is for the residents of the east neighbourhood. Erected in 1995, the shopping mall was the first of its kind in Tampines, hosting only 63 tenants that included the long-forgotten K-MART department store and a Shop N Save supermarket. Tampines Mall came around later that year, overshadowing its retail sister by giving easties more shopping options from its array of more than 100 outlets. 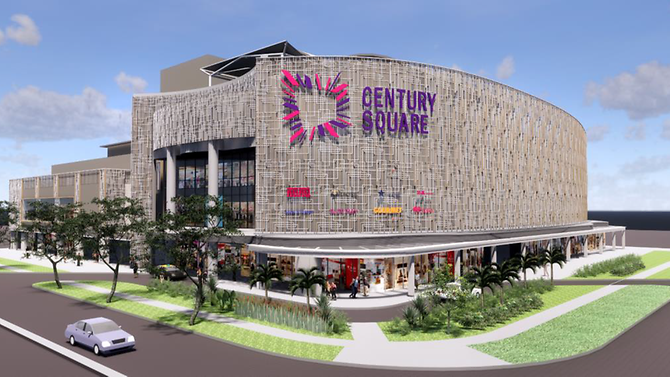 Two decades later, Century Square had closed its shutters in September 2017 for a massive $60 million makeover and will finally make its grand return on 6 June 2018. The major refurbishment took nine months to complete. The refreshed mall is entirely redesigned to integrate itself to Tampines’ ecosystem of community hubs. Aside from sporting a newly-polished façade, the mall breathes new life into the shopping experience with an interior layout that hosts a myriad of new and existing market concepts. Expect to see a lineup of 45 food and beverage tenants, including the debut of chicken rice chain Boon Tong Kee’s outlet, upscale hotpot restaurant Hai Di Lao and The MeatHouse, a brand-new concept by Eighteen Chefs. Other new and exciting tenants at the mall include cinema operator Filmgarde, a 24-hour gym Gymmboxx, National Library Board’s digital library service – eReads, and a hybrid dining-grocery model at Mahota Market that features produce from farm to community. Also returning to the retail scene is M)phosis. Known for its contemporary and clean-cut designs, the local fashion label had shut its stores in 2015. Its relaunch marks the end of the two-year-long hiatus. Shoppers can also look forward to new digital innovations at the new mall, featuring an e-doodling wall to entertain and engage younger shoppers and enhanced amenities such as a new roof deck, bike stations with shower facilities, upgraded and larger nursing rooms and self-help mobile charging stations. “We started out this project wanting to engage our community with a human touch. We listened to their needs as we curate our mix of tenants and mall experience. Providing a purposeful visit, bringing convenience and creating an environment for families, everyday shoppers living and working in the neighbourhood to bond are some of the factors that guided our decisions. This will be our journey to constantly uplift shopping experience and service to set our malls apart,” said Ong Kee Leng, executive director of AsiaMalls Management.